Rapper DMX embarks on DMX and DMX Signature collections for men. Rapper DMX announces the launch of DMX and DMX Signature collections, which will include designer apparel, headwear, outerwear, footwear and accessories for Fall 2007. His niche collections is comprised of various groupings of denims, leathers, cottons, twills, canvas, knits, fleece and other durable fabrics imported from Italy, Japan, France and London as well as fabrics made in the USA. 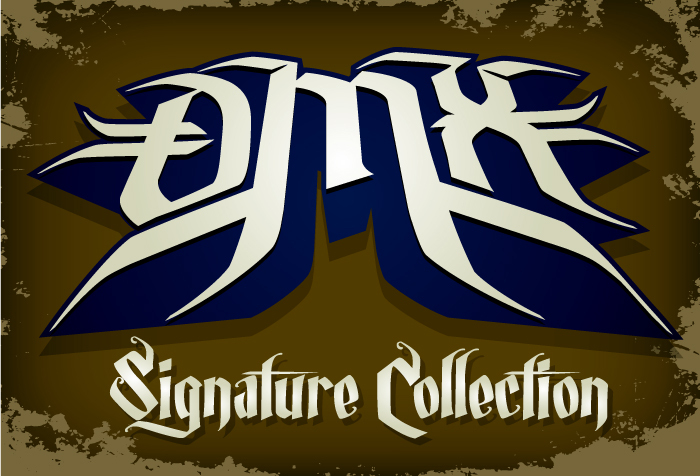 DMX, the quintessential rapper with the complexities of a poet, creates collections that have the same hard-edge danger hybridized with a finely crafted clothing and accessories collection that has the quality of couture but keeps it "real" by staying true to timeless style that speaks of lifestyle not trend. Initial product offerings for the launch will be available at various online retail sites, DMX concerts, and limited better specialty stores. It's no surprise that DMX has decided to get into the fashion business, his creativity and direct sense for what he likes is both unpretentious and cutting-edge. For years, DMX's choice of clothing has always bordered on the rough edge of hip hop mixed with the practicality of the no nonsense, no frills clothing that active and rugged men want. His penchant for secret pockets and durable gear reflect his over-the-edge lifestyle. Dangerous grounds warrant reliable clothing that doesn't compromise the overall look. Don't expect the usual with DMX and DMX Signature instead keep an eye on quality, durability, and style that reflects the fashion sense of today's most powerful and potent rap artist. DMX has a very loyal fan base that love his music, his style and where he comes from in terms of the message he communicates through his music. The impact of his music in the hip hop community is legendary: DMX is the only hip hop artist to have five consecutive number one albums. He is the first and only rap artist to have two number one albums within a one year period with the release of It's Dark and Hell is Hot in 1997, and the subsequent release of Flesh of My Flesh, Blood of My Blood in 1998. DMX and DMX Signature is just another facet to this multi-talented and complex artist whose sense of self expression warrants the need to be channeled through multiple genres. Whether it's his rap lyrics, his critically acclaimed book E.A.R.L. Autobiography of DMX, his hit show DMX Soul of a Man, acting in movies, or riding his quad, DMX is all about keeping it real and that transcends into everything he does. Announcements for DMX and DMX Signature can be seen on DMX's MySpace.com profile page. The launch will begin with an e-commerce site to build momentum with a subsequent branching out into major retail stores nationwide. A long-time dog lover, DMX is also planning an upcoming apparel collection for dogs in the near future. For more information about DMX visit his official website at http://www.dmx-official.com.